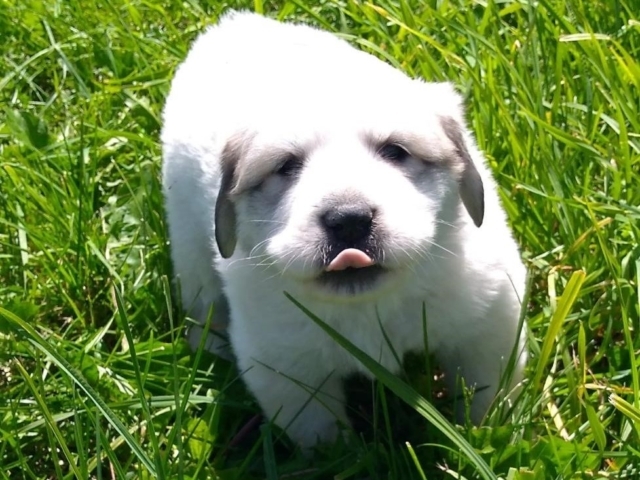 Great news, dog-lovers – Aude and Charlie, the livestock guardian dogs at Raccoon Forks Farms, had puppies, with Aude doing the heavy lifting, of course. 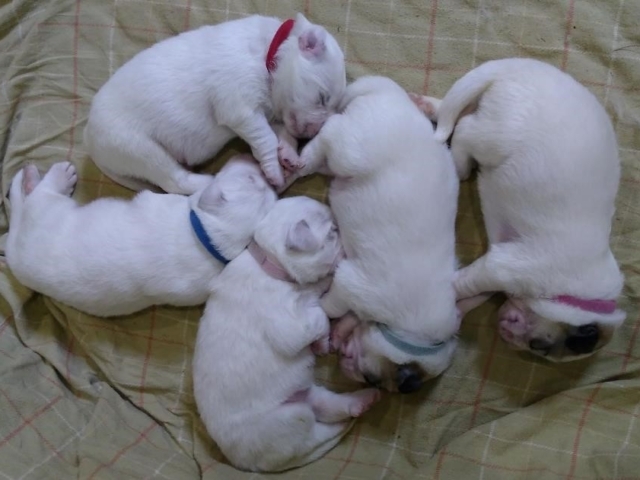 The puppies – three females and four males – arrived on Dec. 14. These puppies will be for sale at $800.00 each, and they’ll be up to date on their vaccinations and preventive veterinary care. 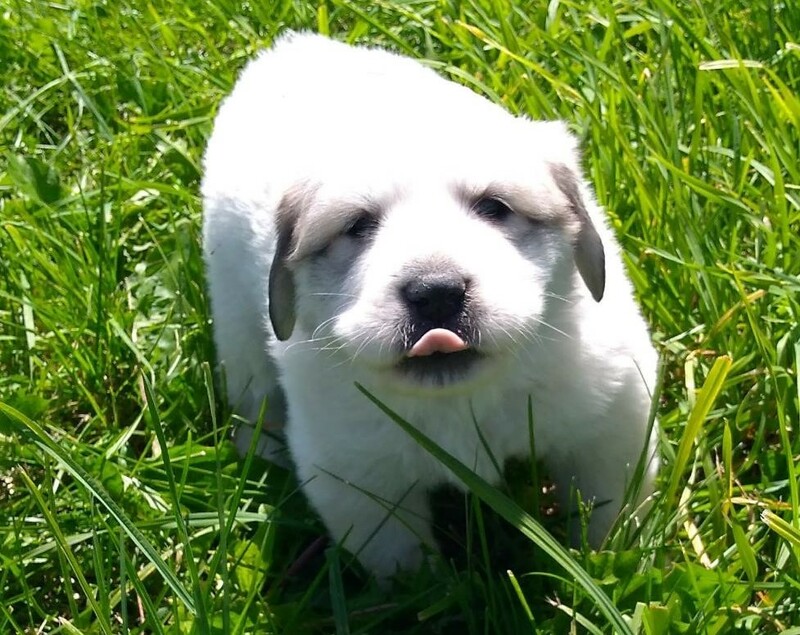 If you’d like to reserve a puppy, we’re taking deposits. 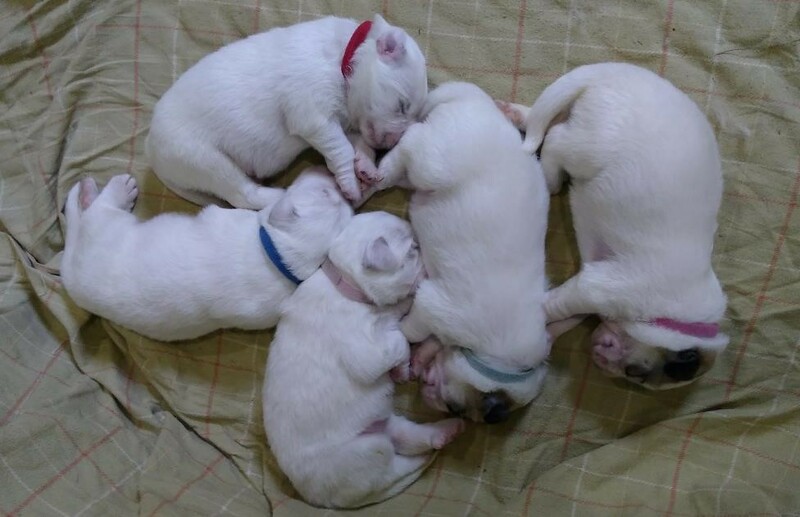 The puppies will be ready to move to their forever homes in mid-February. 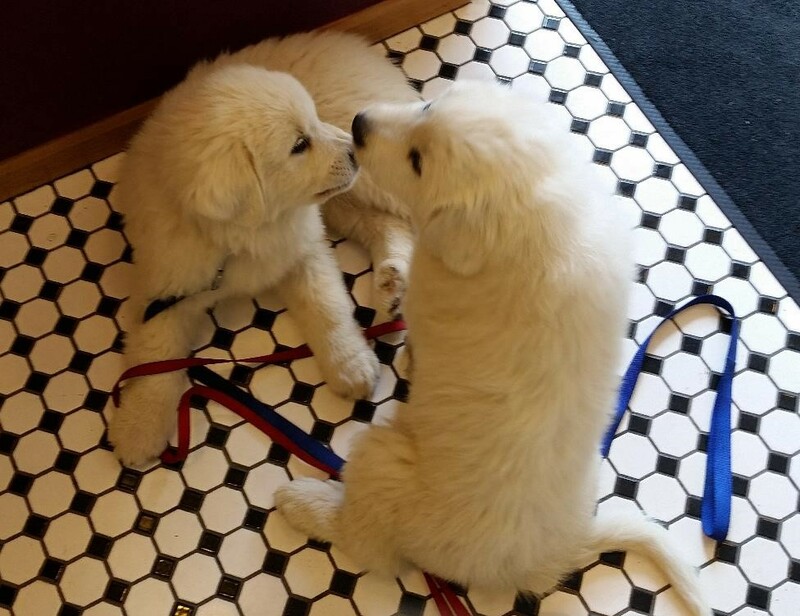 Aude, Charlie, and their offspring are all purebred Great Pyrenees, and the puppies are AKC-registerable. 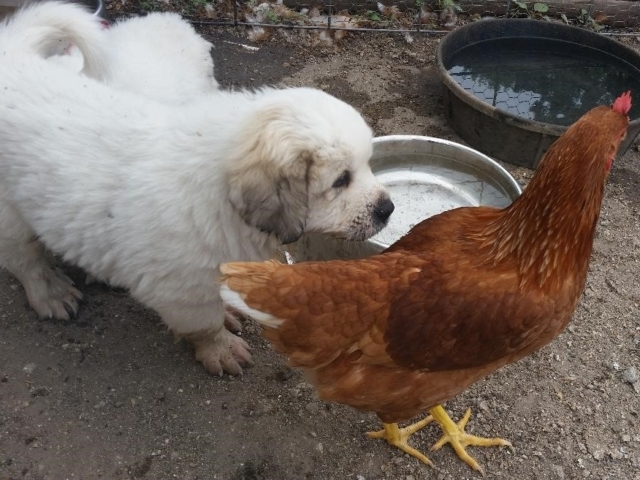 Great Pyrenees were bred to guard livestock in the mountains of Europe, just as they do for us – we keep Great Pyrenees at our farms to protect chickens and other animals. 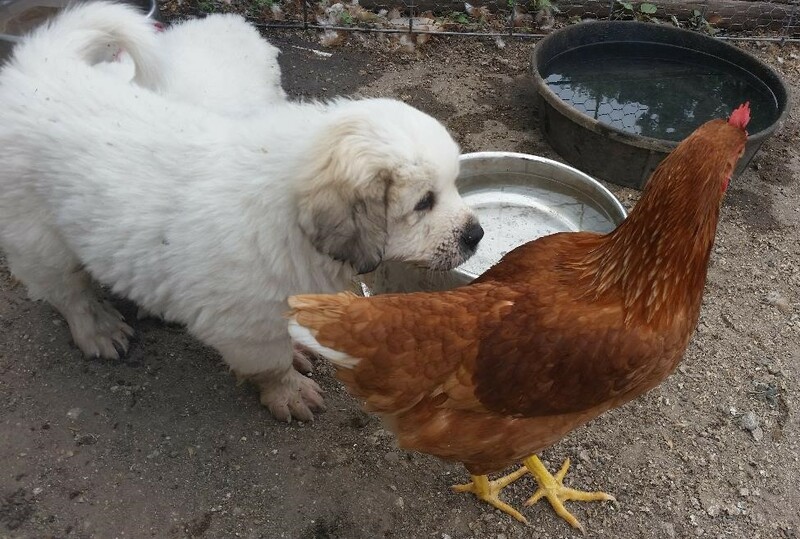 In addition to being excellent livestock guardian dogs, Great Pyrenees make wonderful indoor pets. They’re not very active unless they’re actually working, protecting something. Great Pyrenees are intelligent, loyal, friendly and gentle with those they protect. They can also be stubborn. Training is important.